Like many readers, I’m a ‘recording guitarist’ — I play both the instrument and the role of engineer/producer on my projects. Space is at a premium in most home studios, which limits the number of amps one can have access to when recording, and there are times when you want to record while keeping the noise levels to a minimum. Thus, many of us turn to digital amp modelling of some sort, whether in the form of sophisticated hardware boxes or software. But despite the enormous progress in the last decade or so in amp- and speaker-modelling and the vast array of tools available, I still usually feel most comfortable miking a real guitar amp. 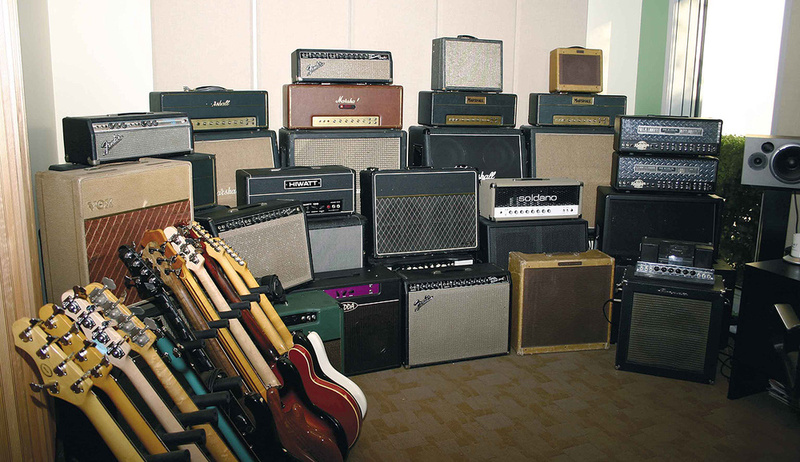 Alas, we can’t all afford an amp collection like this — never mind the space in which to keep it!It’s important to understand that even the best DI-based solution (when used without an amp) compromises the interaction between player and amplifier. Pretty much all guitarists acknowledge this interaction as being important, because it influences the way the guitar feels when you play, and that affects the performance you’re trying to capture in the first place. You can get some of that feel back by listening to your performance over the studio’s monitor speakers, using realistic amp and speaker simulation while playing. But even if an amp emulation is sonically perfect, playing while sitting in front of speakers in the control room just isn’t the same experience as standing in front of an amp. It might work for some, but if possible I’d rather play through an amp. While miking is my preference, the circumstances I’ve just explained mean that’s not always viable, and that begs the question of how you can strike the most acceptable compromise: just how can you record DI guitar in a way that allows the best possible results from you as both player and engineer? You can simply plug your guitar into your audio interface’s instrument input, run the signal through a nice virtual amp, set your speakers or headphones to a tolerable level and hope for the best — but I find there’s a little more to achieving the best results. In this article, then, I’ll explain my most effective strategies for capturing great-sounding DI’d guitar parts. While shaping the guitar sound will obviously be very important, before we turn our attention to things like amp sims and speaker/cabinet emulation, I want to draw your attention to how your guitar interacts with what it’s plugged into — be that a pedal, an amp, a DI box or your audio interface. Once we’ve established the best way of getting the signal into your computer, I’ll consider how best you can shape that sound. Perhaps the most obvious solution is to do all your processing in a dedicated hardware box, such as the Fractal Audio Axe FX III, the Line 6 Helix, the Kemper Profiling Amplifier, the Atomic Amps Amplifire and the Two Notes Torpedo range of products. Here isn’t the place to discuss the relative merits of the different contenders — there are so many variables to consider and so many products to choose from that that would make a lengthy article on its own. But I will say that such processors allow you to hear what you’re playing with minimal latency, either directly from a line or headphone output, or by using your interface’s routing software to monitor the sound at the input, alongside any backing track playing in your DAW. My DIY buffer pedal seems to open up the sound of a guitar with passive pickups, compared with plugging direct into my audio interface. 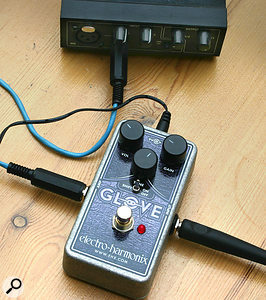 When aiming for on-the-edge, responsive distortion sounds, using a good overdrive pedal between your guitar and interface can give you better results than software alone.For almost all interfaces, I hear a marked improvement in the sound and perceived clarity when putting a suitable device such as a buffer pedal, a high-quality DI box or, depending on the sound I’m after, a good distortion pedal between the guitar and my own interface. My usual preference is to use a good buffer pedal, and the one I use is a simple one, built from a Fuzzdog Cream Buffer kit. Notably, its input impedance is well over 10MΩ, which is much higher than most instrument inputs, but it also includes a bootstrap emitter-follower, which might be adding something to the sound. Most pedal companies offer a model that will do the job in terms of impedance, though some are designed to add character (which you might or might not like) rather than to sound completely transparent. But generally, I find that a good buffer really opens things up, and also improves the playing feel slightly. If you don’t already have a buffer pedal and want to try this, it’s worth noting that guitar pedals with a buffered bypass (the ubiquitous Boss pedals, for example) can do a similar job, though not all of them will sound quite as good as a dedicated buffer. 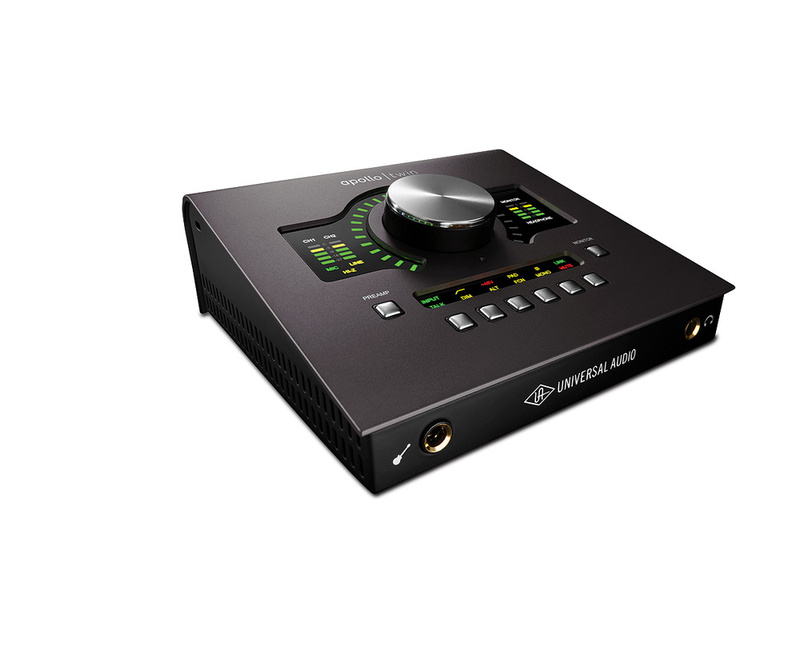 There’s also the option of using a high-quality external DI box, hooked up to one of your interface’s mic preamps or to a nice external mic preamp. An active DI box will generally be the best option here, and there’s no real need for galvanic isolation, so a less-expensive solid-state model (such as the Orchid Classic DI) can be considered alongside the pricier equivalents that are based around transformers. If you happen to have some nice external mic preamps with a built-in high-impedance input they’re worth trying too. The load that any of these devices place on your guitar’s pickups is a big factor but, as I mentioned earlier, impedance doesn’t seem to be the only issue at play, and what constitutes a ‘good sound’ is subjective in this context; you just want it to sound and feel right when playing. So if you have several options at hand, make the effort to compare them and decide which you like. 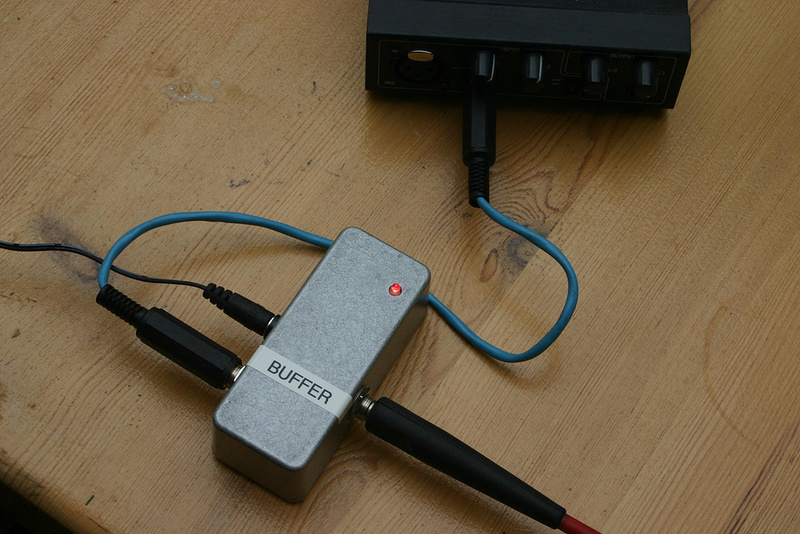 There’s nothing to stop you using both a buffer pedal and a DI box in combination. Many engineers like to hedge their bets by capturing both a clean version of the guitar signal and one that passes through a chain of effects pedals. 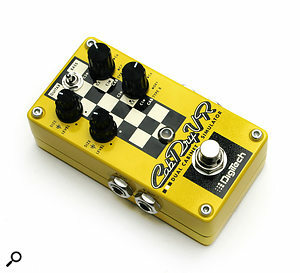 In that scenario, I recommend trying a buffer pedal as the first stage in the signal chain and splitting the signal via a DI box placed directly after it. You can record the signal from the DI and from the last pedal in the chain via separate audio interface inputs, each routed to its own DAW track. If you don’t have a buffer pedal or suitable DI and are aiming for a tone that’s not too clean-sounding, a good alternative is to use a conventional analogue overdrive pedal before your audio interface. An analogue pedal should provide a good impedance match between the guitar and the line input of your audio interface (whether or not the interface has an ‘instrument’ setting). With this setup both the sound and playing dynamics seem a little more natural to me than when relying on the audio interface input and software alone for the sound, and some pedals allow you to ride the guitar’s volume control to nudge the sound into breakup in a way that just doesn’t seem to work with most software. Different drive pedals have different sonic characters, but I’ve tried Boss Blues Drivers, Ibanez Tube Screamers, Fulltone OCDs and many other variants, and all have produced decent results. There are a couple of things to remember when playing through overdrives into your interface, though. First, while the distortion from the pedal can be lovely, overdriving the audio interface itself by turning up the pedal’s output level rarely results in a likeable sound — remember to leave a sensible amount of headroom when setting the interface gain, so as to avoid clipping when you’re picking hard. Second, many analogue overdrives have a hard bypass, rather than a buffered one. When in bypass, these pedals don’t present any impedance to the pickups; they effectively join your guitar cables together, which means both that the capacitance will increase (changing your guitar tone) and that you’re relying on the audio interface to load the pickups! One reason an analogue overdrive pedal based on maybe two or three transistors or a couple of 50-cent op-amps often sounds better than a DSP emulation running on scrillions of transistors is that replicating this distortion is actually quite a tough call for DSP. Any process that changes the shape of a waveform in the digital domain can generate frequencies beyond the so-called Nyquist limit, which result in enharmonic aliasing components that corrupt the sound. The most practical way around this is to increase the sampling rate inside the plug-in, but even then the result rarely seems to sound quite as natural to me as the real thing, especially at lower drive levels. It sometimes helps to use a steep high-cut filter in addition to speaker emulation to kill any ‘fizz’, and EQ can also be used to boost the mids in the 2-4 kHz range and retain the ‘bite’ of the sound. While this doesn’t get around the loss of physical connection between the player and a cranked amplifier, it does get you closer to the real sound, making it feel a little more natural to play. Some very usable sounds can be created this way. Compressors also change the shape of the waveform being processed, and though this isn’t as dramatic as in the case of an overdrive pedal, you may still hear a sonic improvement when using a hardware compressor or a compressor pedal before the audio interface input. In fact, some of the best clean guitar sounds I’ve recorded have used only an external compressor and some plug-in EQ, without an amp model or speaker emulator in sight! This mirrors the way many classic recordings were made, plugging a guitar directly in the desk, and patching in compressors as appropriate. If you’re lucky enough to have a Universal Audio Apollo system, you can even replicate the way a classic mixer channel or mic preamp behaves, right down to its input impedance and overload characteristics. You can also try patching in a compressor pedal before an overdrive pedal. That will help you achieve the desired amount of sustain using less distortion (it’s easy enough to add more distortion later, but it’s not easy to remove it from a recorded part!). Putting the compressor after the overdrive produces a slightly different effect; it’s just as valid, though, so try both options while you’re in the mood to experiment. Some guitar amps have headphone or line outputs built-in, from which it’s possible to route a signal to your audio interface. These are fine for quiet practice but the signal almost always comes before the power-amp stage. It often also includes speaker emulation which isn’t of the same quality as you can add in the box and typically can’t be bypassed. In short, none of these sources ever seem to quite capture the ‘spirit’ of the amplifier you’re playing because you lose the interaction of the power stage with the speaker. If your amp has an effects send, that gets you around the second problem (speaker emulation) but not the first. In that scenario, you could add a dedicated box to complete the rest of the chain — the Two Notes Torpedo CAB, for example, offers power-stage emulation and convolution-based speaker modelling. To capture the signal after the amp’s power stage, I use a DIY speaker-level DI box with crocodile clips to attach to the speaker terminals. 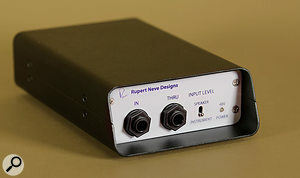 An alternative is to use a commercial DI box which can accept speaker signals, such as this Rupert Neve Designs one, which can be switched between speaker- and line-level level inputs.When recording an amp, though, I almost always prefer to record the signal as it appears after the power-amp stage. And if I’m not miking the amp, that means tapping off the signal at its speaker output: this captures any coloration added by the power stage, including its interaction with the speaker. But this is not an instrument- or line-level signal but a speaker level one. So how do you get it into your computer? First, note that amps with solid-state output stages are generally fine to run without a speaker load on the output, but it’s very important to understand that valve amps always need to run into a suitable load — running them ‘open circuit’, by simply unplugging the speaker, can damage the output transformer. The ‘load’ could be the speaker itself, or it could be a different ‘dummy’ load that approximates the speaker impedance. If you have a high-power amp and find yourself in one of those can’t-make-a-racket situations, then a commercial dummy load with a line output is a far better option than a string of high-power resistors. The better dummy loads, such as the Sequis Motherload, Radial Headload or THD Hotplate, include inductors, which help present the correct reactive load to the amp. Some such devices combine a dummy load with a speaker-emulation filter. Another Two Notes product, the Torpedo Live, combines a dummy load with a convolution-based speaker cabinet emulator, to provide a one-box solution to DI’ing a guitar amp post the power stage. 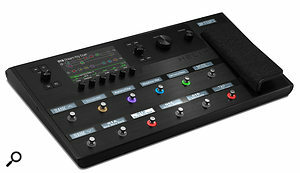 And some newer hi-tech options, notably the Universal Audio Ox, combine a reactive load with some very elaborate digital emulation technology. A related scenario is where you are able run your amp without annoying the neighbours, but the amp doesn’t produce the desired sound — so there’s little point miking it. 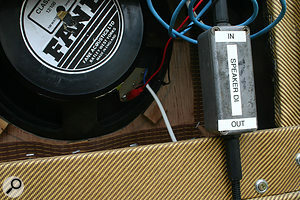 In this case, it’s possible to take a DI feed from the amp’s speaker terminals while leaving the speaker connected. This ensures that the vital interaction between power stage and speaker is retained. If your amp/combo has an output jack for an extension speaker, that’s the simplest place from which to take your DI feed (as long as this it doesn’t disconnect the internal speaker! ), as physically getting to the speaker in a closed-back combo can be a bit of a fiddle. Personally, I’ve made up cables with a jack plug at one end and a pair of croc clips at the other that I can clip onto the speaker terminals. 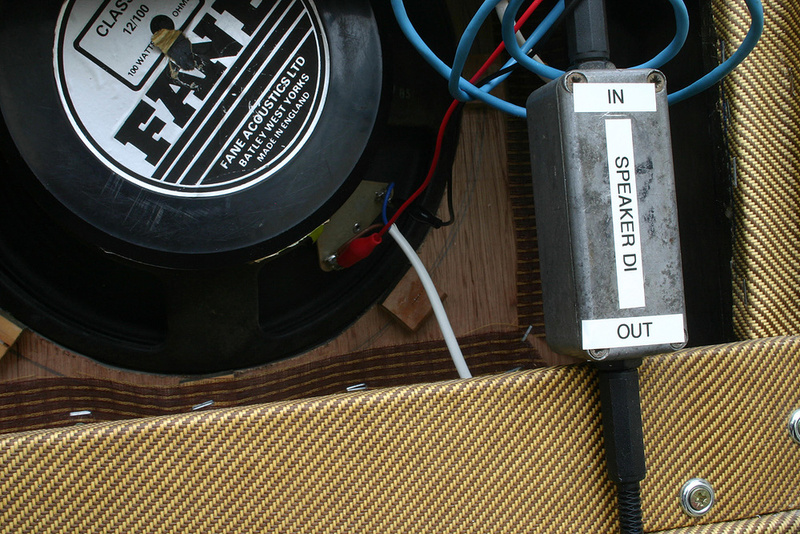 Whether extracting a DI feed from the speaker terminals or an extension speaker socket, it’s important to note that you need to run the signal into a DI box with a dedicated speaker-level input. Don’t plug a speaker output into a standard DI box designed to run at line level — even if you manage not to blow the thing up, it will be so overloaded that it will sound hideous! However, a feed taken from a guitar amp’s speaker output will sound pretty grim on its own, as the amp’s speaker and cabinet together form a complex filter that takes away all the nasty HF grit created by distortion — and we’ve just deliberately taken the speaker out of the equation. Impulse responses are no longer the preserve of software. Various hardware boxes now allow them to be loaded and some, including the Digitech CabDryVR allow the signal to be split, so you can play while listening through the impulse, but record both the ‘dry’ and the processed signal to your DAW.If you’re happy to record your speaker emulation and stick with it, you might want to consider a hardware unit such as the BluBox from Thomas Blug. This is a combined DI and convolution-based speaker emulator that’s designed to sit between your amp and speaker. You could use one of the other convolution pedals mentioned earlier, such as the DigiTech CabDryVR, though most require a line/instrument-level input, and so in this scenario would need to be fed from a separate speaker-level DI box. Whichever input option you choose, care must be taken in the selection of any software amp, speaker and pedal models you decide to apply. For me, modelling software tends to work best for cleaner guitar sounds. Some can work well for extremely dirty sounds too, but to my ears they all seem to fall down to a greater or lesser degree in the middle ground, where you need the kind of touch-responsive breakup that’s grounded in classic rock, blues and country-rock music. With the right choice of pedal, the overdrive pedal approach mentioned earlier can help, and in that scenario I find a clean, or only very slightly dirty, amp model tends to work best. Whatever models I use, I’ll audition several speaker and cabinet emulations, and virtual mic models and positions, in my search for a tone with the necessary weight and bite but without the give-away high-end fizz or grit that some software struggles to avoid. I nearly always end up moving the virtual mic some way off-axis to minimise high-end roughness, but it’s really down to what works for you; it almost goes without saying that no two people have the same view on what constitutes the perfect guitar sound! Most amp-modelling plug-ins include speaker emulations, most of which employ convolution. Convolution-based speaker emulators allow the raw DI feed from your amp to be fed into your DAW and then sent to pretty much any type of virtual guitar cab you can think of. They don’t capture the dynamic feel of the amp, but if you’ve taken your feed from the speaker terminals or from a reactive dummy load, the interactions responsible for that feel should remain intact. The convolution part of the process is more about emulating the frequency and time-related aspects of the speaker cabinet and of the mics used to record it. This approach is very flexible, as you’re free to add whatever speaker emulation you like in your DAW. It’s well worth trying different impulse responses; there are some excellent IR libraries available, both free and paid. 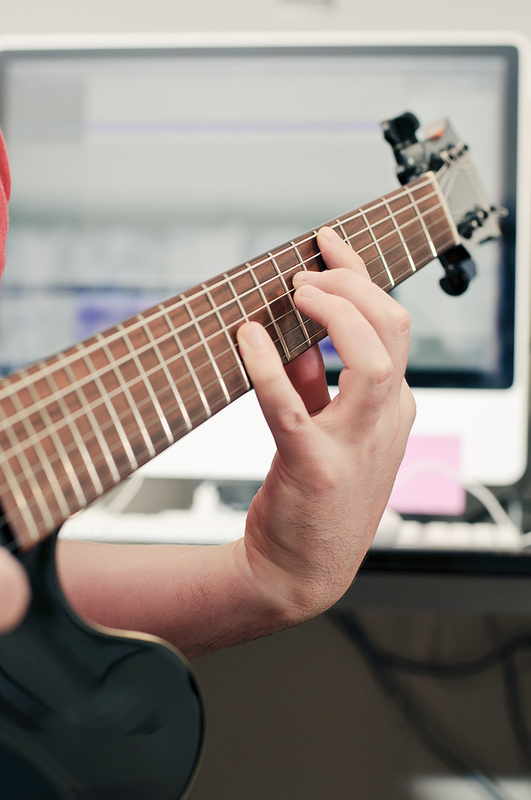 A more ambitious technology which holds promise for guitarists is ‘dynamic’ or ‘multi-level’ convolution. This has the potential to get you closer to the sound of the real thing because the IR sampling process doesn’t rely on a simple ‘snapshot’ like a regular IR. Put simply, the idea is to morph between lots of different IRs (conceptually a bit like multi-velocity sample libraries) to recreate the way the sampled gear responds to different input levels. Does Acustica Audio’s Nebula plug-in — which at present is largely used to recreate studio hardware processors — hint at the future of amp and speaker modelling?A dynamic convolution approach that holds tantalising appeal is Acustica Audio’s ‘volterra kernel’ technology, used in the company’s Nebula and Acqua plug-ins. Both the Acqua plug-ins and Nebula’s bundled library currently focus largely on studio hardware (ie. console channels, mic preamps, EQs, compressors and reverbs). But there are some third-party guitar cabinet libraries, which are worth a try for re-amping if you have Nebula. A challenge at present is that these plug-ins are more CPU-hungry than their modelling counterparts (though they’re more efficient than they used to be). Running these libraries at the near-zero latency required to play a guitar and listen to the processed sound is not a trivial processing task; if you’re recording overdubs into a DAW session that’s already large enough to tax your computer, you could find yourself running into problems. Of course, more powerful computers arrive every year, and as software manufacturers continue to take advantage of them we should see more sophisticated amp and speaker emulations emerge. 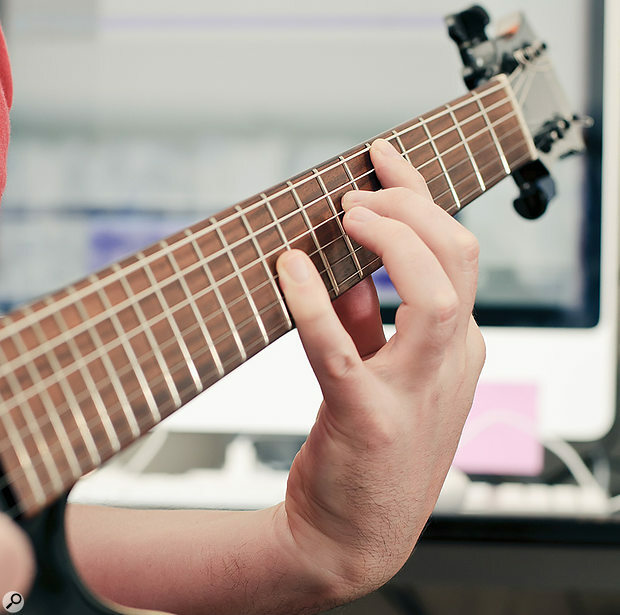 No doubt, modelling will continue to improve, but hopefully it is only a matter of time before dynamic convolution also finds its way into mainstream plug-ins and hardware that can be used by guitarists in real time. But, happily, there are plenty of other workable options to explore in the meantime. Thanks to Matt Houghton and Dave Lockwood for providing additional material and research. Just how high an impedance should a nominally ‘high-impedance’ instrument input present to a guitar? The first thing to say is that this is only really of concern if you’re using a guitar with passive pickups. The second is that, in practice you’ll find that almost all ‘high-impedance’ or ‘hi-Z’ inputs on amps, stompboxes and audio interfaces are somewhere in the 500kΩ to 1MΩ range. The ‘received wisdom’ seems increasingly to be settling on the 1MΩ figure as the norm, and that’s thus what you’ll find on most modern audio interfaces, but some people feel that this has drawbacks for guitars. Some people opt for higher impedances for a good reason. Higher impedances generally translate to a brighter sound, so humbuckers, for example, might benefit from being brighter in a DI scenario compared with single-coil pickups. And as I mention in the main text, the buffer I like to use for much of my straight-to-computer work presents an impedance of over 10MΩ — though, as I also mentioned, there’s probably more going in that box to colour the sound than the impedance alone. Similarly, some prefer lower impedances. While the usual 1MΩ (and higher) impedance will usually help you get the best from a passive bass guitar, and might generally be good for particularly clean-sounding guitar parts, there’s also the potential for it to result in a sound with perceived ‘glassy’ overtones, which can cause problems when you then apply distortion. Radial (who seem to have a dedicated gadget for every conceivable audio problem!) created their Dragster ‘load correction device’ specifically to avoid this when running your passive pickups into a 1MΩ input on a solid-state device. Another device that can do something similar is the Cloudlifter Zi, which also doubles up as a ‘mic activator’ to boost the level of dynamic and ribbon mics going into a mic preamp. A slightly different-sounding way of tackling the same problem is to use a longer cable (the longer the cable, the higher its capacitance and the duller/less glassy the sound), so if you have different cables lying around, it may be worth trying them. This idea of changing the impedance has also been exploited to good effect on the Line 6 Helix hardware, which can change its input impedance to match that of any of the modelled pedals or amps you place at the front of its virtual signal path. Anyway, as I hope you’ve gleaned from all this, while guitar pickups do need to see a high-impedance load, the optimum impedance remains a question of taste! Unless your amp has built-in reverb or you use delay or reverb pedals, the DI’d sound will come across as very dry unless room ambience is included in the speaker models. You can use any software reverb, of course, but if you prefer a more focussed sound a convolution reverb’s ambience setting will give you the necessary sense of space without adding an obvious reverb tail. Low-Wattage amps are particularly useful for recording, as you can crank them up to their sweet spot without waking the neighbours. For example, I have a low-cost 5W valve amplifier of the ‘designed in Germany, built in China’ variety that sounds dreadfully boxy with its own tiny speaker and cabinet. But send it into a good 2x12 cab model and it can sound really meaty; and it also plays very nicely with pedals. A significant advantage of a small amp like this is that — if you don’t have a power soak and still don’t really want to hear the amp — you can simply stuff it in a cupboard or in the next room and cover it in cushions or blankets to deaden the sound while you record! If you don’t need to silence the amplifier, then the sound it delivers through its own speaker can help you play more naturally, even if you’ll eventually be using a modified version of the sound when mixing. I discovered just how good this particular small amp could sound when reviewing the aforementioned Thomas Blug BluBox combined DI Box and speaker emulator; I could dial in a range of cabinet models based on impulse responses taken from Thomas’s own speakers, using his preferred miking setups. Cabinet emulators don’t have to be used only with DI signals — they can also be used to change the flavour of existing guitar recordings you’ve made by miking amplifiers. Strictly speaking, this means you end up cascading two sets of cabinet coloration (one real, one emulated), but if it produces the sound you are looking for then don’t worry about the theory! I find this technique quite useful where the recorded guitar sound is too thin or to buzzy at the top end. I’ve also used it successfully to fatten and smooth bass guitar parts. Some players and producers like to try re-amping, where a recorded clean DI track is fed out through a miked guitar amp and then recorded to a new track. It’s a perfectly valid approach, but personally I very rarely feel the need for it. However I do sometimes DI the amplifier using speaker emulation to shape the tone as described in the main article, but then also to mix in some of the amplifier’s own sound via a mic. This can be really effective if the mic is set up a few feet from the speaker, rather than being right up against the grille. I don’t usually experience phase issues when working this way, but it’s easy enough to advance the timing of whichever track lags behind if it proves necessary. Alternatively, you can just mic the amp in whichever way works best for you, and then pan the miked sound to one side and the DI/emulated sound to the other to create a pseudo-stereo effect. I’m sure other engineers have other preferred methods but these usually work for me.